PLEASE NOTE: We do NOT internally ground. This is because you have to use the negative on the RCA, which means you are basically putting that hum down your audio path. We have the technology, and we have the technician to bring your 1200/10's back! 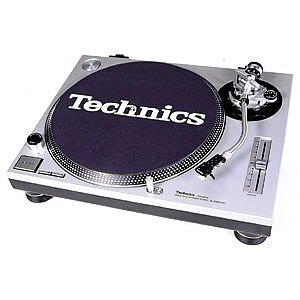 Technics 1200s are a classic and hardworking piece of engineering. That said, even these work-horses need some love and affection (note, from the amount of dried beer we find inside them we understand they have been probably already been receiving too much affection). So, we have assembled somewhat of a lab/shrine to the 1200 out the back and engaged the services of the handsome tank-engine (massive nerd) below, who meticulously fixes your deck/s up. From that bit of fluff under the pitch fader to testing the frequency at which your chips are humming, he does the lot: leads, lights, lube, pitch, clean and calibrate (obligatory) and anything else they may need. On arrival we take a non-refundable $50 deposit. This goes a way to covering the labour costs. If there are no faulty parts we will fully service and clean your deck and the balance of $130 per deck is payable on pick up. Again, we take a non-refundable $50 desosit and then our Mr Spock dives in to your deck and ascertains what the problem (i.e. not working, spinning too fast, not actually having a power supply etc) and upon diagnosis, we will contact you and let you know the costs of replacing these parts before we go ahead with any work. TEST: tone arm bearing, tone arm contact points, lamp, anti-skate, tone arm cueing lever, 33rpm and 45 rpm buttons. REPLACE: RCA cables, earth lead and light. IN ADDITION: we calibrate pitch, lubricate the spindle and tone arm bearing and clean the unit inside and out. Basically we test everything that move and/or can stuff up and make sure you get a fully working deck back. NOTE: It is getting harder to get parts for these babies and we are finding that some (not many) of them can no longer be economically repaired, having said that, our tech is the best and we strive to get a result and more often than not, we can fix your issue. If you have any other kind of turntable that needs a service or repairtry Classic Hifi or the Vintage Record or give us a buzz 02 9380 8223 or send a message.